Home Agenda BJP Candidate Challengers Chief Minister Choice Congress ECAS India India Jyotiraditya Scindia Kamal Nath Madhya Pradesh Narendra Modi Politics Rahul Gandhi Win Madhya Pradesh Elections 2018 : Can Congress emerge as "The Challenger"? 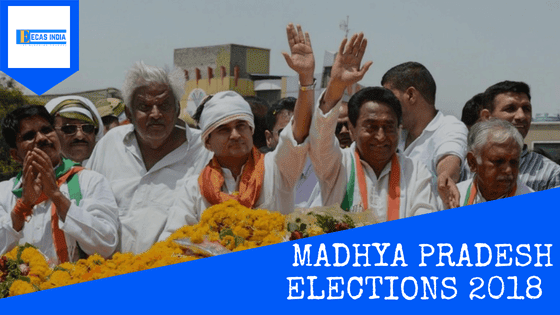 Madhya Pradesh Elections 2018 : Can Congress emerge as "The Challenger"? The past elections were simply 'A Nightmare' for the Congress. With merely 58 seats in the 230-seat Assembly Elections in 2013, the Indian National Congress has been seen working extremely hard for reaching the half-way mark. A strong and unified regional leadership, a defined role for party President Rahul Gandhi and careful selection of issues to be addressed shall be important for Congress to regain the central state of Madhya Pradesh in 2018. This year shall witness the most obvious manifestation of this 'Republic' - elections, in the central state of Madhya Pradesh. Three full terms in power had led the wave of anti-incumbency against the Bharatiya Janata Party (BJP), a Large-Scale Scam, Rising Farmer Discontent has opened up the possibility of the Indian National Congress (Congress) returning to the power, albeit the subject of its own unity. Jyotiraditya Scindia, the party’s chief whip in the Lok Sabha, and the top contender of the party for being the Congress Chief Ministerial candidate had been trying to channelize the Agrarian Discontent by actively participating and supporting the agitations and protests. Furthermore, Kamal Nath, 9-time Lok Sabha MP and the former Union Cabinet Minister has also been speculated to be in the running for the party’s nomination for the top post. Although there seems to competition for leading the party in the Assembly elections, recent reports suggest that a compromise has been reached and that Jyotiraditya Scindia is all set to assume the lead role and shall also be announced as the Chief Ministerial candidate in the near future. This decision is bound to be welcomed as Scindia is seen as a young leader ready to take on a responsibility, a great sign for our democracy. Since Rahul Gandhi’s elevation as party President, he has assumed a larger role in attacking the Union Government and its policies. The set of elections in late 2018 shall be his first real test in consolidating the anger against government policies into fruitful results for the party. 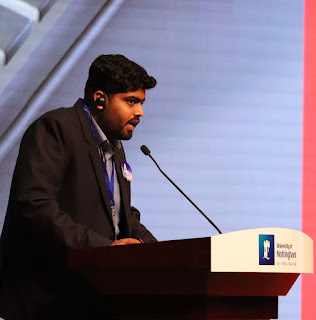 However, the extent of his involvement is open to speculation due to the conflict between success in elections and Gandhi’s projection as Narendra Modi’s direct rival. At the same time, with these elections being seen as a semi-final to the 2019 General Election of India, the Congress would have been providing Rahul Gandhi with opportunities to showcase his own leadership abilities. Though not necessarily a trade-off, the Congress would want to look at all the possibilities before determining the composition of central and regional leadership involvement. With several issues cropping up over a significant period of time, and of a varied nature, a good strategy and targeting of voters should do the trick for Congress.